So, back where we left off: MALARIA. 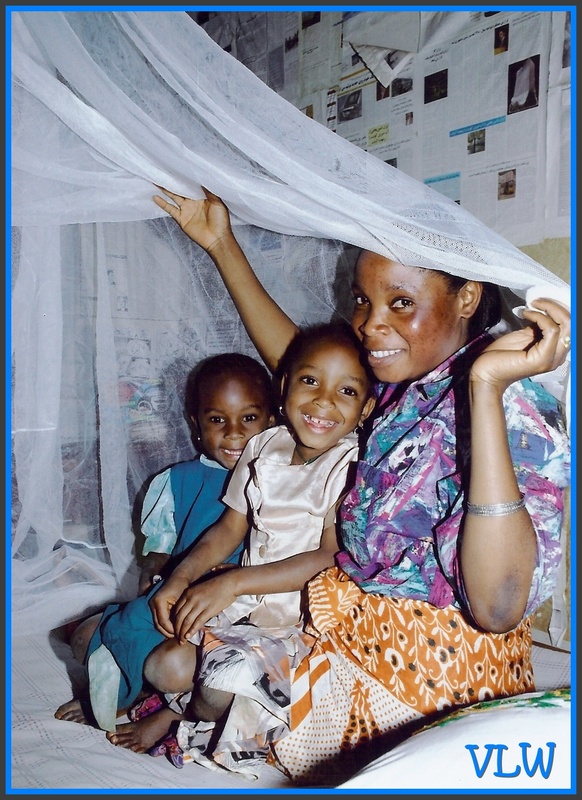 Malaria can be prevented with ITNs (insecticide treated nets) used at night when the mosquitoes that cause malaria come out searching for meals (our human blood.) 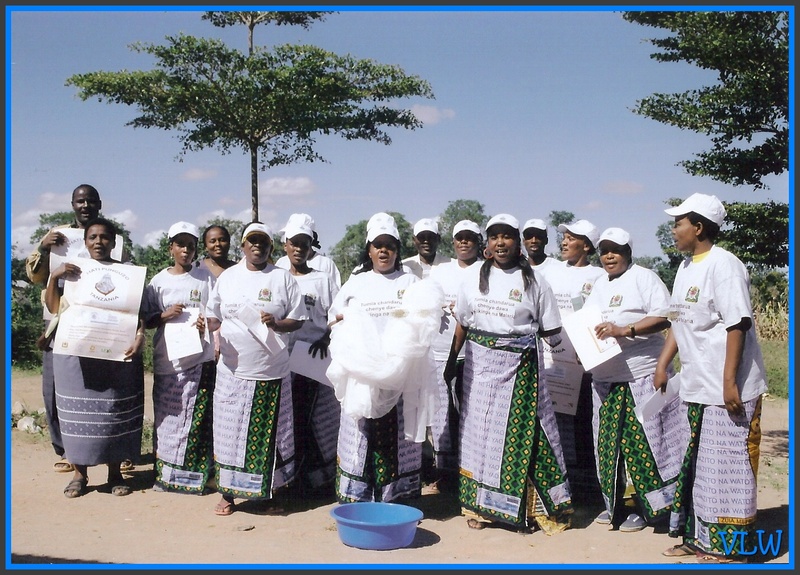 Educating families & communities in the use of bed nets is critically important. It’s also critically important to educate communities about the symptoms of malaria so children will make it to the clinic for diagnosis & treatment before it’s too late (so many children die because they don’t make it there in time.) 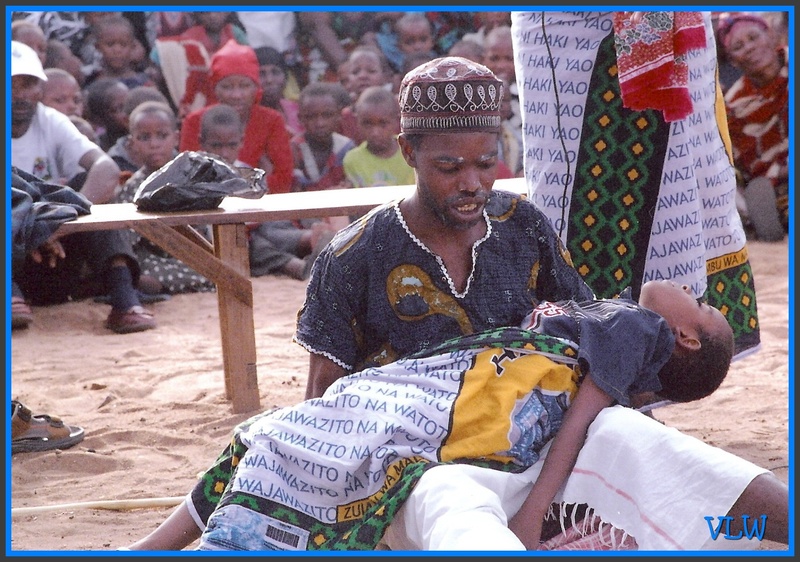 This skit demonstrates the symptoms & consequences for not seeking treatment: the death of a child. 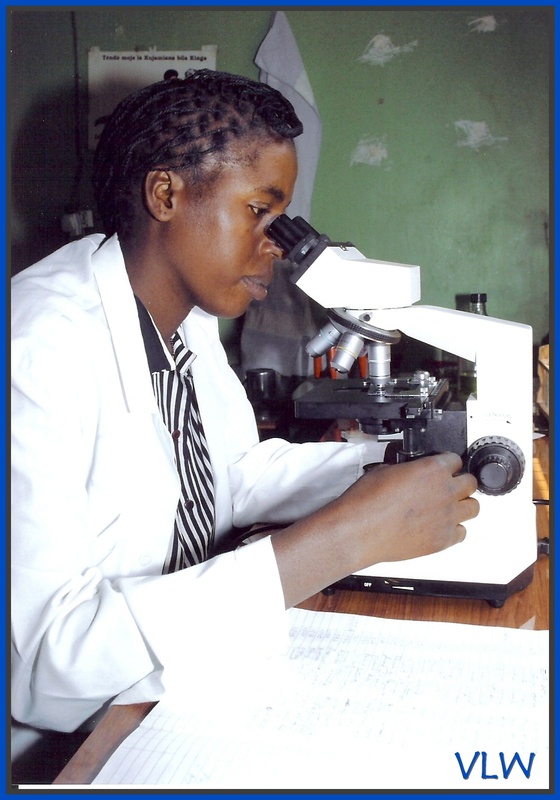 Blood screening is an important part of malaria diagnosis along with having the right equipment & trained technicians, like this qualified young lady in Kagera. 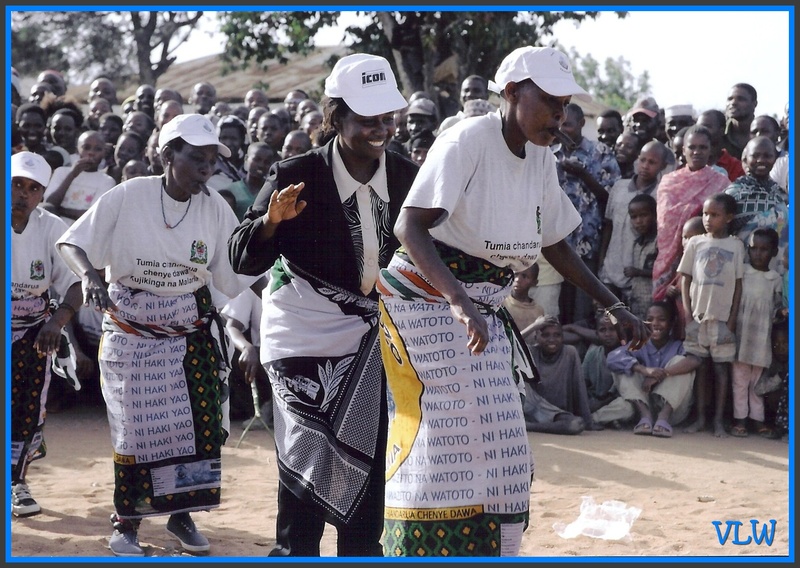 Educating communities it’s advantageous to use local performance groups who communicate in the local language & understand the cultural context, like this troupe in Singida demonstrating how to treat a net. 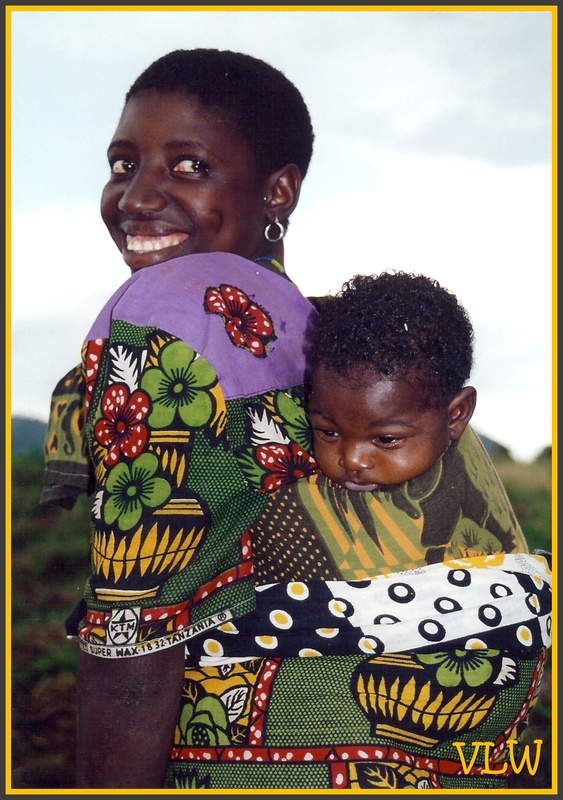 This entry was posted in Advocacy Issues, SNAPSHOTS & WHATNOTS and tagged African photos, Behavior Change Communications, community health, health, ITNs, malaria, Malaria Bednets, Malaria prevention, medicine, research, SNAPSHOTS & WHATNOTS, Tanzania. Bookmark the permalink. Great pics, Ginny! Also very informative. You really know this issue…it’s great to raise awareness to those of us who may not realize how serious an issue it remains! Thanks for remindinng us. Yah! the battle is still hard although we have a lot of success stories.True the deaths are decreasing and more interventions are carried out. As for me the question now is how we are going to sustain the attained results. Over 80 % are currently owning ITNs, Larvicidiing,IRS and IPTp coverage is also high. I am currently developing our sustainability strategy focusing Community Health Workers and community groups efforts whom you know them very well, Local Authorities and other local partners. Mh!! I miss your strategic Ideas.